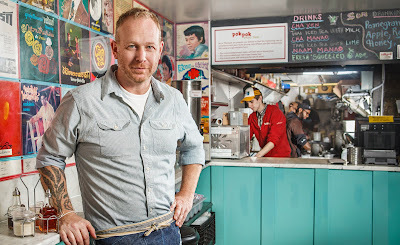 In today's Cookbook du Jour, I wanted discuss Portland based chef Andy Ricker. Andy is a true Thai expert. He studied in Thailand under local masters and learned the authentic cuisine and he makes no compromises. His renowned restaurant Pok Pok, located in Portland, is a gem. When you get people like David Chang of Momofuku fame singing your praises, you are definitely doing something right. If you were to own only one Thai cookbook, I say this is it. 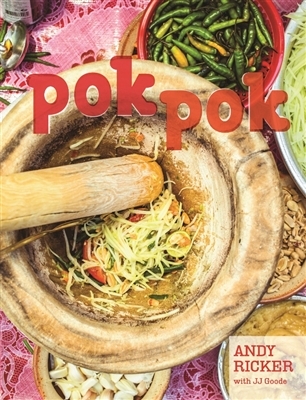 It's the sort of cookbook that you want to sit down and read, as it is packed with so many stories and really reveals the people of Thailand as well as the wonderful cuisine. For meat eaters, I think his Laap, minced meat salads are particularly good and his Som Tam is off the charts. His chili dips are so good, you can eat them just spooned over jasmine rice. Since Andy has now opened locations in NYC and LA, so many more people will get a chance to try his amazing food. In the meantime, get this cook book and have some fun.